Recently, I read a story about the state of decline of Zen Buddhism in Japan and of the rapid closure of Zen monasteries all around the country. Most of the current generation has become completely detached from that aspect of their beautiful history, and as a result, the support that these monasteries so heavily depend on has diminished. Because of this, not only are Zen monasteries closing down by the handful, but there’s a struggle to find qualified priests to maintain those monasteries that remain open. Due to my deep appreciation of Zen, this was undoubtedly painful to hear. We in the U.S. have just begun to explore and be transformed by the vast wisdom of the Buddha’s teachings, and so many have been positively affected by the beauty and boundless wisdom of “the heart of Buddhism”, as it’s sometimes called, in Zen so it's an odd state of events. This traveling of wisdom around the globe has happened countless times in history. It’s simply the way that the truth moves, as the late mystic Osho (the man whom the Dalai Lama considered a Buddha) once explained in detail (see Meditations on Zen). As times change, countries change, people change, values shift, and cultures either move from waking up to falling back asleep or vice-a-versa. It’s an ever-flowing process, not necessarily built upon moving towards what’s right or away from what’s wrong, but always the natural flow of things. Each time this has happened Zen has been transmitted to a new group of people, from the Buddha's lineage of disciples down to Bodhidharma, to Bodhidharma first coming from India to China, then from China to Japan, and now Japan to the U.S. which began as a visit to the U.S. from Japanese Zen priest Soyen Shaku in 1893. And just as it's travelled from one place to another, each time the format for practice has evolved (often multiple times). Zen, Buddhism, and spiritual practice in a general sense in the U.S., while blossoming is still finding it's place in many ways. In Japan, Zen practice started out as a traditional monastic system where you became a monk or nun and lived in the monastery for either most of or the rest of your life. Then later, the monastery took a sort of university format where they were more students living temporarily as monks or nuns working towards graduation, wherein most would go on to lead normal lives, than life-long monastics. In the U.S., we have more meditation centers than we do monasteries (although they also do exist in good number as well) and practitioners are more lay (which essentially means they're not monks or nuns and lead normal lives with jobs, relationships, etc.) than full-time monastics, and yet the intent to practice seriously is still very much there. It's a very different format, one which better reflects the U.S. as a whole. In thinking about all this, I contemplated on what the essential points of Zen practice, and of an effective spiritual practice, were. Forget monastic, lay, monk or nun or not monk or nun, etc. Ultimately, that's not what's important. That's never been what was important, or else Zen practice never would have been able to shift and change like it has while still retaining its essence. What are the essential keys to Zen practice, the keys which make up the very spirit of Zen practice? How can we live more like a Zen monk or nun without becoming a monastic? In other words, how can we be more like a Zen monk or nun in our everyday life, amid the various responsibilities and challenges we have? And in what way do we need to design our lives to effectively pursue a healthy spiritual practice? The reality is, at least in the 21st century, most of us aren't interested in becoming monks or nuns, or even necessarily in calling ourselves Buddhist, spiritual, or any other label (not that they mean anything anyway). But we are very much interested in the practice. If you're interested in learning how to live a more authentic Zen life and bring peace, joy, and balance into your everyday life, then you'll love my upcoming course, Zen for Everyday Life. The below 11 points are some of the most important points I've distilled from that contemplation. Keep in mind, I'm not a Zen monk and am not speaking with regards to experience as one. Rather, I'm speaking from the place of my own practice, making my way living a typical daily life while trying to live true to my practice, and what I've witnessed to be the real essence of Zen practice itself. You'll likely notice pretty quickly how universal these points are. That's because, as opposed to being some religion or philosophy which holds to a set of ideas, Zen is empty of a defining set of ideas or beliefs. Zen is a practice, it's also the very expression, or living, of the realization of that great wisdom which we all intuitively know exists within and around us. Zen is expressed in many spiritual and religious traditions all around the world, just under a different name. This is because the truth has no name, it's universal. It is it and can never be anything else. I hope you find these 11 ways to be more like a Zen monk useful in your own life in pursuit of greater wisdom, deeper joy, and more boundless peace. This is the simplest and most straightforward point on this list, and in a lot of ways it symbolizes a key aspect of the spirit of Zen, so I thought it would be a good point to start with. "Do one thing" is exactly what it sounds like: it's single tasking. Zen monks live in a way that they're totally and completely focused on the task at hand, and a key aspect of that is to simply do one thing- whatever it is that you're doing in that moment. Whatever demands your presence, you're there for it fully. Of course, there's times in our life where things aren't so black-and-white, but the point is to make the commitment to do so in every moment. Multi-tasking has not only been proven to be ineffective, it's actually damaging. Making the commitment to live your life in a way that you do the one thing that's most important in each moment means to live with greater clarity and perform more effectively at everything you do. It also promotes greater concentration and mindfulness, two key aspects of active Zen training itself closely connected with this point. To do something with every ounce of your being means to live with mindfulness and concentration in every moment. It means to be totally and completely focused on that one thing with every inch of yourself. This doesn't just mean to do one thing as I just mentioned, it also means to be totally concentrated on that thing. But really it's being totally concentrated and mindful of this moment. You don't open a door while forcefully pushing away any thoughts or outside sounds that arise, you open the door with all of your being, while still being openly mindful of whatever arises within that moment. This isn't a hard, vein-popping, concentration. This is a soft but persistent concentration on the present moment. You're being here, awake to your life, in every moment. And that's really what this is all about. This point is closely tied with Zen's emphasis on sitting meditation, which I'll mention later, but it's the greater effort of bringing that same single-pointed awareness and mindfulness from the meditation cushion into your everyday life. Nothing special is necessary to begin living your life in this way though. To live in each moment, doing each thing, with all of your being and to the best of your ability, makes a significant and concrete difference in the quality of your day-to-day experience. The benefits of living in this way are too long to mention, but suffice it to say that it's the most important effort of all. Mostly important to remember is it's the key effort in each moment, the heart of daily practice as a Zen monk or nun, while most of the other points while significant are either things to keep in mind from time to time, establish once, or keep tabs on regularly. My second book, Zen for Everyday Life, helps you make most notably the mindfulness aspect of this a reality. You can check it out here: Zen for Everyday Life: How to Find Peace and Happiness in the Chaos of Everyday Life. This point has two parts really: work diligently and let go of hang ups/nurture your well-being. 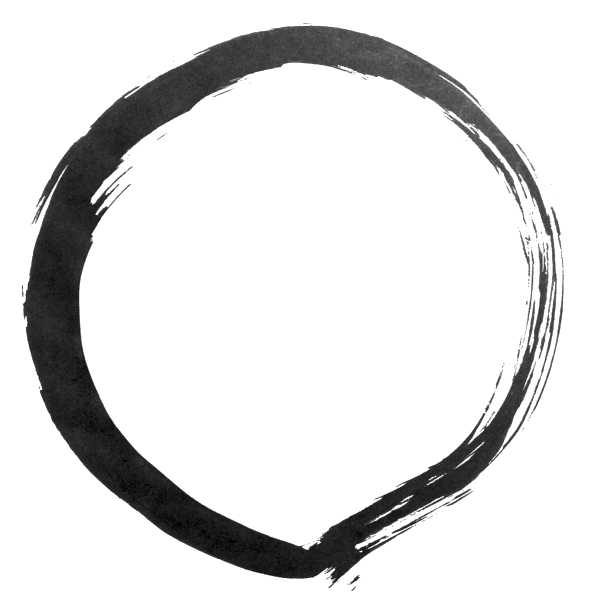 First, Zen monk's work diligently to realize satori, or awakening. This is considered the supreme effort, achievement, or realization in all of life. And being so keenly aware of one's own impermanence, the precious nature of this one life that we're given, they work day and night to realize this complete awakening for themselves so that they can go beyond hang ups (or attachments), let go, and realize true peace. Being diligent in one's efforts is very important because all we have is this life. Whether you believe there's something after this or not, all we know for sure is that we have this life. And this life is here and gone in an instant. Time flies, and before we know it, we're gone. For that reason, you should work diligently to realize true peace and happiness. That ideal life will look different depending on the person, but the idea is the same: we only have a short time to enjoy this life, so we shouldn't waste a minute. The second aspect to this point is the major effort of this life, and that's to let go of those things which are keeping us from peace and happiness so that we can realize a clear path to living peacefully and joyfully. Throughout our lives, we resist the natural way of things. It's our job to find that resistance (whether it's an attachment to something we like or aversion to something we don't like) so that we can remove the friction in our lives and life with greater ease and freedom. In this way, we open up a clear path to living peacefully. By the time we're adults, we've generally amassed quite a lot of things in our lives which are either useless or relatively unimportant (both material possessions and non-material things). The monastic way of life (for any spiritual tradition really) is designed so that only the essentials remain: physical nourishment, a place to rest, a community, and the practice. Now, this might be a little extreme and even unnecessary to most, but the idea is what's most important. The idea is to remove everything in your life that isn't essential. Essential to what? Essential to your well-being and the well-being of others. But where do you begin? How do you decide what's essential and non-essential? The best place to start is to ask yourself if the item or thing is ever used or ever holds any purpose. If it's never used, or holds no purpose, those are the first and most obvious things to go. From there it gets more difficult, but the question to ask is simple: does this thing help contribute to the well-being of myself and those around me? If the answer is no, or even maybe (suggesting it's really not essential), then the likelihood is it not only doesn't serve a purpose but often gets in the way of allowing those things that really matter to shine in your life. If I had to live with only a handful of things, what would they be? It might be beneficial to ask yourself that question a few times too, because sometimes you'll put down things you think are essential, but upon closer examination you realize they really aren't. That doesn't necessarily mean you'll want to give it up, but in any case it will give you clarity. From here, you can work backwards and look at your life. What exists in it now which wasn't included in this list? Why didn't you include it? Can you give it up? Should you? Would you have more time to focus on what's important if you gave it up? Zen practice as a whole, as we talked about earlier, is very concentrated and intentional. In living the life of a Zen monk, all fluff is removed and only the essentials remain. This can truly help improve our life in meaningful ways, helping to remove that which is useless and potentially distracting and giving us more time for what matters most. If simplifying your life down to the essentials is about removing those unnecessary things from our lives so that we can focus on what matters, limiting and monitoring mental nutriment is about specifically identifying those things which are bad for us and actively working to remove them. By mental nutriment, I'm referring to those various types of "food" which we ingest on an everyday basis. But I'm not just referring to food for our physical body, I'm also referring to mental food: T.V., social media, the rest of the internet, reading, personal associations, etc. Really anything which we ingest through one of the sense organs is included here because it affects our well-being in a very real way. Most importantly, this is about identifying any sources of poison, or unwholesome seeds, which are affecting us on a regular basis and working to either remove or minimize them and replace them with wholesome seeds. If it's T.V., either removing T.V. or reducing your T.V. time down to your favorite 2-3 shows. If it's social media, reducing the amount of hours you check Facebook, or whatever it is, in a given day and making it more difficult for you to check it in the first place (deleting the app on your phone so that you have to walk over to your computer, for instance). And if it's the people you're around, considering changing your associations if possible. You'll know what these things are for you, so it really just depends on your life. But one thing is for certain: each and every one of these things affects our state of mind in a very real way. We should work consistently to keep these things in check so that we can better nourish our mind for peace and joy as opposed to fear and anger. This is about living with a sense of order or structure, something that’s very important for training as a Zen monk. What’s the purpose? In a very real way, it’s order which gives us true freedom. Many of us are afraid of order, of structure, but this is generally due to a misunderstanding. Think about it this way: what if you could free up an entire hour each day for yourself if you just took the time to establish a daily schedule and stuck to it with discipline? What if this was a real possibility? Isn't this more freedom as opposed to working all day long on work + home responsibilities? Also, it's by setting up this sense of order that we can occasionally break away, and this can be very liberating. Without a sense of order, we not only wander aimlessly and waste our precious time, but can can't create the right environment for freedom to arise. To live half-asleep, unconscious to so much of what we do (even though our bodies are doing it), is the opposite of true freedom. Living in this way, we're being pushed and pulled by our habitual patterns and being directed by the winds of life. To live our lives in a way that we structure our days and live with a sense of order is to live with freedom because we're living intentionally. To live intentionally is to live mindfully, knowing that you're placing one foot forward. If you live like this, you're taking that step. To take that step mindfully, to know you're taking that step and to do it consciously, is true freedom. And it's order which helps us live in this way. To live as if you're going to die is to live in a way that you're aware of your own impermanence and the impermanence of all things. Most of us live in a way that we ignore and even push away any thought of our own end, and the end of our loved ones, going to great lengths to either bottle it down or avoid it. But this is a great mistake, because to live completely aware of our own impermanence can be a great source of joy. By living in this way, we appreciate life so much more and are constantly reminded of the precious nature of this life that we're living. It can be difficult to face the fact of our own impermanence, and often much more difficult to face the fact of the impermanence of every one and every thing around us. But it's a fact which we must learn to face if we ever hope to live our life fully without regret. By pushing through those difficult feelings we can in fact realize a deeper and more vibrant life. A life richer than anything we ever imagined. Check out episode #2 of the Zen for Everyday Life podcast for a simple practice you can do each day to begin working on this very point: How to Live As if You're Going to Die. Zen is very closely connected with the arts. It's very common for a Zen monk to take up some form of artistic expression such as calligraphy, poetry (haiku), or even chanoyu, the Japanese "way of tea" which originated from the Zen tradition and which is a very artistic ritual in itself. The Japanese tea ceremony can be summed up by the Zen phrase “ichi-go ichi-e”, which means “one time, one meeting”. The phrase is meant to remind us of the beauty and uniqueness of the present moment and that life is transient or ever-changing and impermanent. Why is art such an important part of Zen practice? It's not so much that it's important than it is prevalent due to its effectiveness at showing us ourselves and allowing us to express ourselves fully and honestly. When we express ourselves artistically, freely and spontaneously, we're allowing all that we are to come forth. Our hesitations, resistance, doubt, anger, fear, and everything else comes pouring out from us fully. To express yourself in this way, knowing this, makes this type of open expression a very purifying process. In this way, expressing yourself becomes a very effective and very enjoyable form of meditation. And when those things don't 'get in the way'? When we act in that instant with our complete being? With a single brush stroke we can express our true boundless nature. It doesn't matter how you express yourself, just that you give yourself a regular avenue with which to do so, so find something that fits you and your life and make it a regular (weekly, or more) practice and see how when you practice expressing yourself that fear, anger, and judgment ("that was horrible", "I'm a horrible artist", "I'm not good enough", "I can't do this") often get in the way of us expressing our authentic selves. Continue practicing and work to get to a point where you can act in any given moment in a way that you don't get in your own way, that you express yourself without holding back. This is what it means to express yourself fully and authentically through art. The Buddha's 'middle way' is a principle which essentially refers to the fact that in all things in life we shouldn't remain in the extreme either way. We should live in the 'middle way' of things. It's difficult to fully express the importance of this principle because it's so prevalent. It literally has to do with our entire lives. Let's take a typical everyday example. Work and family are typically considered the two major parts of our life. They're distinctly different and encompass essentially all of our combined time on any given day, or at least the vast majority of it outside of sleep. So, when talking about the balance between work and family life, what's best? Assuming, like most of us, that you're not in a position to quit your day job/source of income, #3 is the right answer. If you work all the time, your well-being and the well-being of your loved ones will suffer without your presence. But if you don't work, you won't be able to support yourself. It's that same sort of idea with many things in life. When referring to the Buddha's 8-Fold Path, Right Speech and Right Action are great examples as well. Should we speak negatively to someone? Of course not. But on the flip side, should we completely refrain from saying something that can help someone just so as to not potentially insult or hurt them? The most important thing is to be helpful and approach the situation with a sense of compassion and love, and sometimes this requires being straight with someone. With Right Action, there's many things we enjoy doing which could become a problem if we do them too often. We may enjoy playing video games, but if we play them day and night our health and relationships will suffer. We shouldn't be quiet about important issues, we should speak up and express our opinion. But we also shouldn't try to force others to go along with what we believe either, that's not right. In all cases, the Buddha's principle of the middle way is the right practice. The Buddha's middle way leads to a balanced life free from excess and conflict. This is arguably the single most important point on this entire list. Most would go as far as to say that without this it’s impossible to practice Zen, as this is in fact the heart of Zen practice. Zazen is just the Japanese working for “sitting/seated meditation” and it was carried over to English when Zen travelled from Japan to the West. But Zazen is its own specific style of meditation, so don’t think it just refers to any form of sitting meditation. Also, it's not to be (although can very easily be) confused with the very similar Vipassana meditation practice, which is also based primarily on mindfulness but which involves actively naming and identifying that which is noticed with one’s awareness, as opposed to Zazen where these things are simply acknowledged and allowed to float by as if a passing cloud in the sky. For those of you who have followed me for some time, zazen is the basic meditation instruction I typically give in my various posts, guides, and books (New to meditation or mindfulness? Start here). Most points on this list are general guidelines which will look differently for different people. This is the only point on this list that's essentially a direct suggestion, although keep in mind that I have no intention of comparing forms of meditation or pronouncing one better than another, here I'm simply referring to the importance of daily meditation in general. The most important point here is just to establish a daily meditation practice, whatever form works out best for you. "Only keep the question, 'What is the best way of helping other people?'" It's an integral part of everyday Zen monastic practice to serve either the monastic or surrounding community in some way. This could include cooking or cleaning inside the monastery, cleaning and keeping up the outside depending on the location, or some other form of service for the local community outside the monastery or for the global community at large. Any true and effective spiritual practice will gradually cultivate in you great compassion for all beings, and it's through this compassion which the desire to serve is born. It's sometimes misunderstood that Zen monasteries, and the Zen monks and nuns that live and have lived there, close themselves off from society and just practice zazen all day long. A core part of many Zen monasteries daily life is daily service in the spirit of mindfulness, love, and great compassion. This is something you can express in your own life quite easily through countless different ways. The most important way to serve? To carry yourself within the things you already do in your everyday life in a way that expresses these qualities of mindfulness, love, and compassion. Practice kindness with strangers and compassion with everyone you interact with. And every action you take, be aware of the global community and the way in which we're intrinsically interconnected. In a more outward way, we can take time to serve others through our life's work and in our "off-time". This is a big subject that involves big decisions, but just in the way that it's a big decision that shouldn't be taken lightly, your life is a matter of great importance and what you do for 8+ hours a day, or for the hours of off-time you get each week, over the course of your entire life, shouldn't be taken lightly either. Living in a way that you're aware of the impermanence of all things as well as of the way that everything is interconnected naturally cultivates the desire to serve. And conveniently enough, it's that service which contributes most heavily to our happiness in life. However you choose to serve, know that it's a two-way street. You're not serving others, you're simply serving. By serving others, you're serving yourself. And by serving yourself in an honest and authentic spiritual sense, you're serving others as well. Whatever your life looks like, know that to live a little bit more like a Zen monk or nun and to realize the greater peace, joy, and improved ability to navigate the crests and troughs of life isn't outside your reach. Express the essence of living like a Zen monk or nun by following these 11 points in your everyday life. Note: Thanks to Paul Davis for the beautiful photos from Thich Nhat Hanh's Plum Village, Blue Cliff, and Magnolia Grove monasteries.